Spotify. Apple Music. Deezer. Google Music. Tidal. Oh, and YouTube Red. The above are massive streaming services that, on the surface, seem to have put the final nail into the coffin of the music blogging industry. Where once the internet was overwhelmed by enthusiasts trying to uncover the best new song, today's focus seems to trend toward playlisters and channels. So... are music blogs dead? Nah. Do I have any evidence to back that up? Sorta. What follows is an analysis based on my 7 years in the industry -- backed up by very little hard evidence. You're just gonna have to trust me -- and if you don't, feel free to tear me apart in the comments at the bottom. When did music blogs start their demise? I think there are two major factors that contributed to the fall of music blogs. Regarding number 1, I doubt I have to go into much detail. Most people already understand that Spotify, Apple Music, etc. have made accessibility to music incredibly easy, and when you're already paying $9.99/month to subscribe, you're probably going to centralize your listening behavior around that service. The less obvious answer is number 2, and I think it has had one of the biggest impacts in music. Specifically, I'm talking about the way that YouTube shows up in search results on Google when you look for a song. 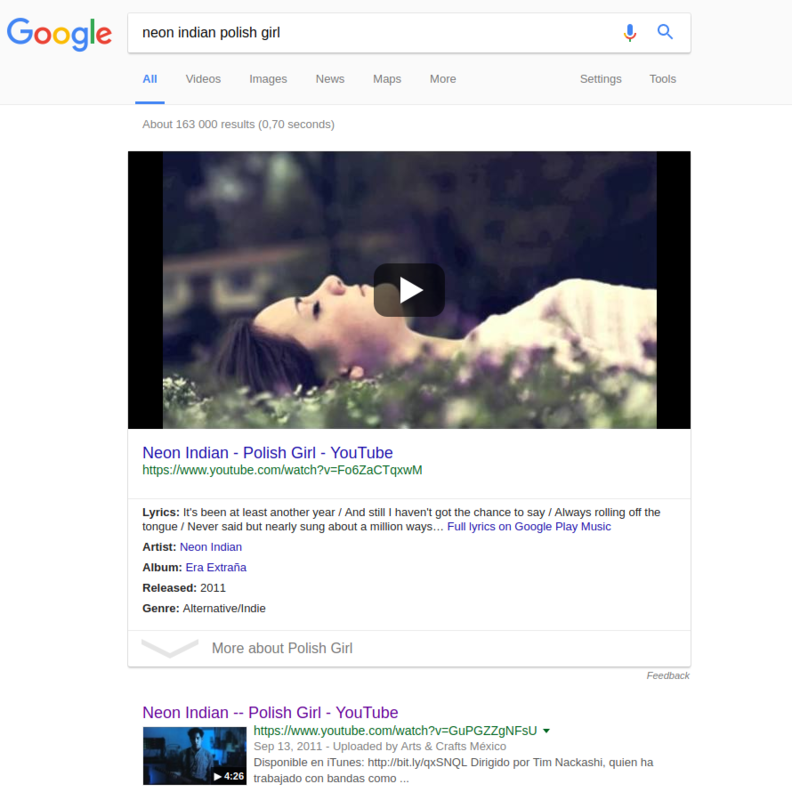 Back in 2012, if you searched for a hot new indie song on Google, you'd be presented with a familiar page of simple links. Many blogs generated a lot of their traffic from those search results (and, by proxy, fans). If you were the first to cover an obscure song, chances are you'd show up in the top 3 of the search results. Given that roughly 56% of clicks go to the first result in a regular search query, I'm willing to wager that YouTube taking up 90% of the real-estate results in an even higher click-through-rate. And where does that leave the blogs? Hah! Short answer: fucked. Okay so moving on, where do blogs fit in today? Good question! While most of us are losing our traffic (actually, Indie Shuffle's doing decently), I think music blogs have established a very important "niche" in the music industry: that of modern-day A&R. To quote Wikipedia, "Artists and repertoire (A&R) is the division of a record label or music publishing company that is responsible for talent scouting and overseeing the artistic development of recording artists and songwriters." Basically, the modern era has allowed labels to replace their army of A&R staff with a select handful who are good at monitoring the internet for early trends. Perhaps the easiest way to do this today is to watch Hype Machine, a website that "aggregates" (collects) all the latest posts from a select group of blogs and identifies who is getting the most traction. Many folks are familiar with Spotify's Fresh Finds playlists -- but few realize that they're largely automated. Here's an article about it, where the important takeaway (in this context) is that: "For the last few years, Spotify has been gathering data from music blogs and review sites, and culling out the most talked-about new artists." I've had a few beers, so I'll cut this short: blogs might be losing their day-to-day users, but they're stronger than ever when it comes to their impact in the "early discovery" game. Thanks to sites like Hype Machine and SubmitHub, their collective consensus continues to shape the industry of up-and-coming acts, and I don't think that's going to go away anytime soon. If you're an artist, label, or publicist looking to get your music heard, music blogs are still one of the most-important tickets to building up the momentum you need for the big time.